The Radiology-Integrated Training Initiative (R-ITI) is an e-learning resource available via the e-LfH Hub. 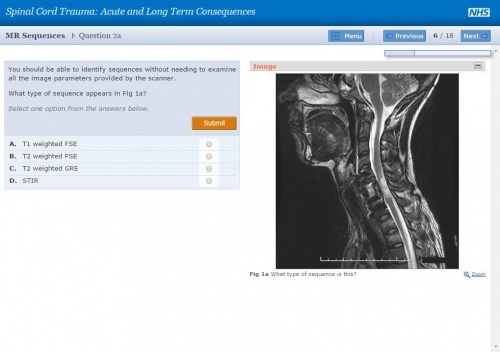 R-ITI's e-learning resource is based on the knowledge and skills of practising clinical radiologists, representing best practice in radiology and combining traditional proven teaching models with state of the art technology. eIntegrity licences all e-Learning for Healthcare content including R-ITI for overseas health professionals. Radiologists outside the UK can access R-ITI by purchasing a licence from eIntegrity. Standard licences are available on a per user basis for 12 months. This enables users to plan and track their progress which can, if required, be monitored by supervisors and trainers. The RCR has agreed with eIntegrity that discounted prices will be offered for the full programme and for Modules 8a and 8b combined for overseas members and Fellows of the RCR. These prices, along with other purchasing options are detailed below. Monthly and quarterly subscriptions are also available (please note discounts are only available on the annual licences). To purchase a licence please click on the links above or go to the e-Integrity R-ITI page and follow the instructions.